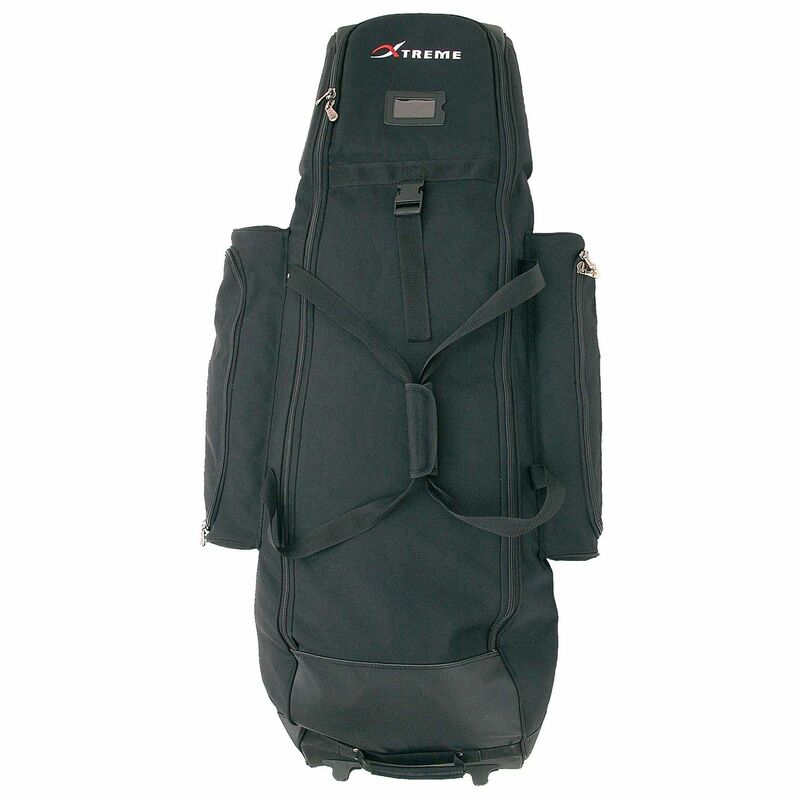 The Big Max Xtreme Deluxe travel cover can store 2 golf bags and has a padded top cover to maximise club protection. This high tech XL cover features a specially consolidated base, offers 2 large side shoe pockets for added comfort and comes with safety padlocks which give thieves no chance. It is made from extra durable nylon and weighs 3.5kg (7.7lbs). for submitting product information about Big Max Xtreme Deluxe Travel Cover We aim to answer all questions within 2-3 days. for submitting product information about Big Max Xtreme Deluxe Travel Cover. We aim to answer all questions within 2-3 days. If you provided your name and email address, we will email you as soon as the answer is published. for submitting product review about Big Max Xtreme Deluxe Travel Cover.